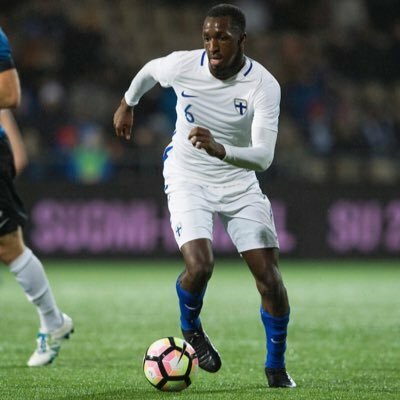 Following the draw for Euro 2020 qualifying, AGONAsport takes a closer look at Finland, one of the Ethniki’s opponents in Group J. Although they are far from a European heavyweight, Finland is a team Greece should know very well. The Finns have proven to be a nightmare opponent for Greece over the years. They beat the Ethniki 5-1 in Helsinki in the 2002 World Cup qualifiers and have continued to torment in recent years, even though the Ethniki emerged victorious in their most recent meeting (Angelos Anastasiadis’ first game as head coach) via an own goal. Finland took 4 points off the Ethniki in Euro 2016 qualifying and embarrassed Michael Skibbe’s team in what was his last game in charge in the Nations League as they went on to win the group and earn promotion to League B. The ‘Eagle-Owls’, as they are known, have never qualified for a major tournament. This in itself will be a major motivation for coach and players alike. Especially considering the fact they will enter the qualifiers in a very confident manner after topping their Nations League group in League C, even though they lost their last 2 matches. They have boasted some quality players over the years such as Sami Hyypia, Jari Litmanen and Mikael Forssell to name a few, and they have had near misses in past qualifying over the years. Former Finland National Team defender of 59 appearances, Markku Karneva enjoyed a long playing career, took over the reigns in December 2016 signing a 3-year contract. Even though he could not turn things around in time for 2018 World Cup qualifying (Finland finished a disappointing 5th), signs are much better after earning promotion to League B of the Nations League, with a well-organised defence being the cornerstone of that success. Karneva has been involved in the National Team setup since 2004 as he coached the U21 team for 6 years before making the natural progression through the ranks as Assistant and Caretaker coach before eventually landing the job on a full-time basis. The undoubted dangerman in the side is well-known striker Teemu Pukki, who is currently enjoying a solid season with Norwich City in England’s second tier. Previously, the forward was a regular fixture for Schalke, as well as Celtic and Brondby. He has also been linked to Greek clubs Panathinaikos, AEK and PAOK in recent years. The 28 year old is now in his prime and has 15 goals to date in Finland colours, scoring an impressive 5 in 5 appearances in 2018. He went down injured early on in Finland’s 2-0 home win over Greece in October. Another name well-known by Greek football fans, Robin Lod, looms as another key player for the Pot 3 team. The former Panathinaikos attacking midfielder is one of his country’s most creative players. This was on show in October in Tampere. Currently plying his trade in Spain for Sporting Gijon, the 25 year old has 3 international goals to date. Experienced Slovak-born Bayer Leverkusen goalkeeper Lukas Hradecky is a solid option between the sticks for the Finns, while the young Glen Kamara (of Sierra Leonean descent) has the pace to cause problems from wide positions.